The leaked report, derived from thousands of interrogations, claims the Taliban remain defiant and have wide support among the Afghan people. It alleges that Pakistan knows the locations of senior Taliban leaders. A BBC correspondent says the report is painful reading for international forces and the Afghan government. Pakistan has strenuously denied any links with the Taliban on previous occasions. “We have long been concerned about ties between elements of the ISI and some extremist networks,” said US Pentagon spokesman Captain John Kirby, adding that the US Defence Department had not seen the report. The BBC’s Quentin Sommerville in Kabul says the report – on the state of the Taliban – fully exposes for the first time the relationship between the Pakistani intelligence service (ISI) and the Taliban. 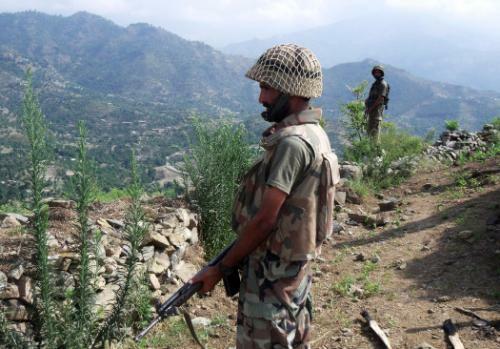 It notes: “Pakistan’s manipulation of the Taliban senior leadership continues unabatedly”. It says that Pakistan is aware of the locations of senior Taliban leaders. Despite Nato’s strategy to secure the country with Afghan forces, the secret document details widespread collaboration between the insurgents and Afghan police and military. Lt Col Jimmie Cummings, a spokesman for Nato’s International Security Assistance Force (Isaf) in Afghanistan, said the document was “a classified internal document that is not meant to be released to the public”. “It is a matter of policy that documents that are classified are not discussed under any circumstances,” he said. It paints a picture of al-Qaeda’s influence diminishing but the Taliban’s influence increasing, he adds. The report has evidence that the Taliban are purposely hastening Nato’s withdrawal by deliberately reducing their attacks in some areas and then initiating a comprehensive hearts-and-minds campaign. It says that in areas where Isaf has withdrawn, Taliban influence has increased, often with little or no resistance from government security forces. And in many cases, with the active help of the Afghan police and army. 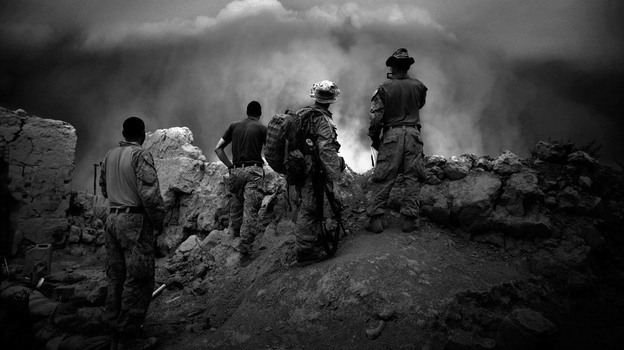 When foreign soldiers leave, Afghan security forces are expected to take control. However according to the report, rifles, pistols and heavy weapons have been sold by Afghan security forces in bazaars in Pakistan. America’s latest attempts to strengthen its relationship with Afghan President Hamid Karzai received an unexpected jolt over the weekend, as the Afghan leader said he would back Pakistan if it went to war with the U.S.
Mr. Karzai’s comments came as a surprise to some Western officials in Kabul, who were heartened by the success of last week’s visit by U.S. Secretary of State Hillary Clinton. In the past, Mr. Karzai has alienated his Western allies with comments suggesting that he might side with the Taliban, or that America could come to be seen as an occupier if its forces didn’t stop killing Afghan civilians. 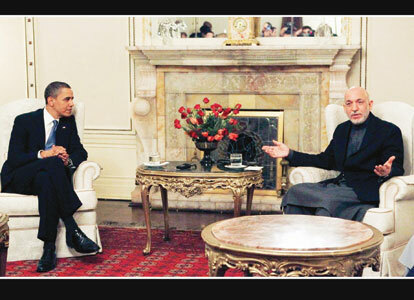 American officials said, however, that Mr. Karzai’s remarks wouldn’t overshadow Mrs. Clinton’s visit. Mr. Karzai and Mrs. Clinton were united during her trip in demanding that Pakistan stop supporting the Taliban and other Afghan insurgent groups. Afghan officials also accused Pakistan’s spy agency of involvement in last month’s assassination of Burhanuddin Rabbani, the former Afghan president who had been leading the country’s peace entreaties to the Taliban. Pakistan denied these accusations. 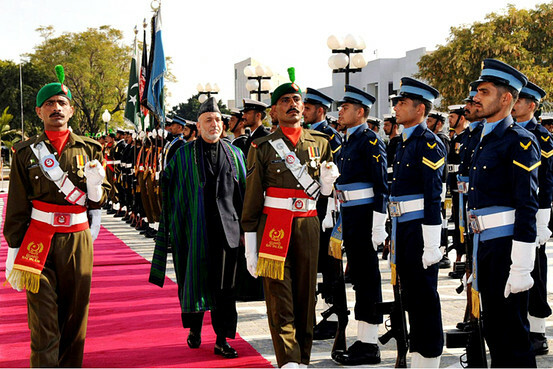 Earlier this month, Mr. Karzai unexpectedly flew to New Delhi to sign a strategic agreement with Pakistan’s archenemy India. The move angered Pakistani officials, who viewed it as political provocation. In the Saturday TV interview, Mr. Karzai repeated his characterization of Pakistan as a “brother” and said Afghanistan wouldn’t let the U.S. or any other country dictate its foreign policy. “Afghanistan is a brother,” he said “But, please brother, stop using all methods that hurt us and are now hurting you. Let us engage from a different platform.” Separately, Afghanistan’s interior minister Sunday evaded an apparent assassination attempt near Kabul. Officials said a suicide bomber targeted a convoy thought to be carrying Interior Minister Bismullah Khan Mohammadi. But the attacker was shot dead before he could do any harm, and the interior minister wasn’t in the convoy, the Interior Ministry said. –Ziaulhaq Sultani contributed to this article. America’s involvement in Pakistan and Afghanistan may be the most complex foreign-policy dilemma the nation has ever faced. With the death of Osama bin Laden, along with Pakistan’s furious response, the knot is more tangled. Right now, Afghan officials are reviling their Pakistani counterparts. Pakistan is flirting with China. 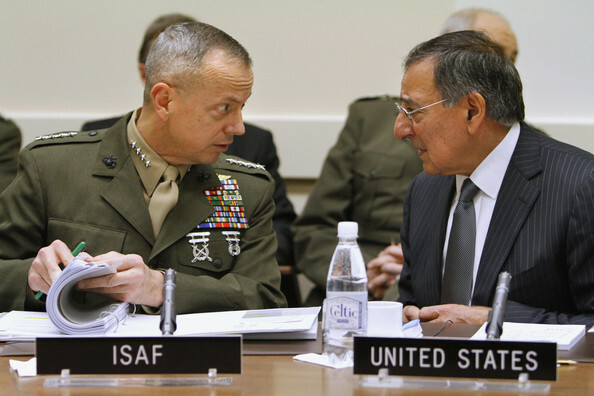 American officials are threatening to curtail aid to Islamabad. Afghanistan is establishing what it calls the High Peace Council for reconciliation talks with the Taliban, while the United States is already saying the peace talks will almost certainly fail. Meantime, Afghan Taliban leaders are trying to talk nice. Oh, we’re happy to let girls go to school, they are cooing through thin smiles. Just let us back into the government. At the same time, their fighters opened fire on an unarmed roadwork crew, massacring 36 workers and wounding 20 others. Pakistani soldiers fired on a U.S. military helicopter flying along the Pakistan-Afghan border. But the government did display a small flash of grace. It gave the U.S. permission to haul away the ruined tail of the helicopter that crashed just outside Osama bin Laden’s home. Think back to previous conflicts. Even the decisions behind the Vietnam War, one of the most traumatic events in American history, seem relatively simple by comparison. Now we are dealing with two nations led by perfidious, double-dealing scoundrels who take pleasure in disparaging us. In a chorus over the last few days, President Hamid Karzai and other Afghan officials have been declaiming: You’re fighting the wrong war in the wrong place. They have their own self-interested motivations for saying that. Actually, though, they are correct. Most analysts believe bin Laden left the tribal areas of Pakistan and moved to a compound just outside the capital to escape the rain of American drone missiles that were killing some of his minions. Does it make any sense to believe that bin Laden would pull out all by himself, leaving behind his key aides and allies, like Mullah Omar, the Taliban leader? Of course not. Sooner or later we will learn that a half-dozen of them, at least, are hiding in full sight inside Pakistan, in their own high-walled compounds. One frequent Afghan observation is well-taken, that all of the al-Qaeda and Taliban leaders of note are in Pakistan, not Afghanistan. The United States acknowledged years ago that few if any al-Qaeda operatives remained in Afghanistan. But now Pakistani leaders are insulting and reviling the U.S., and senior members of Congress are threatening to withhold aid. As Sen. James Risch, an Idaho Republican, put it during a recent Foreign Relations Committee hearing, “Why are we spending our kids’ and our grandkids’ money to do this in a country that really doesn’t like us? But the United States can’t stop providing aid to Pakistan and pull out of the country. For one thing, most of the supplies for the 100,000 American troops in Afghanistan are trucked in from Pakistan, and Pakistanis have already shown their eagerness, if provoked, to attack these caravans and torch the trucks. Look at the map, and you won’t find another politically possible supply route. Pakistan is an extremely unstable country. Its leaders hold onto their pathological obsession with India and refuse to recognize the dire threat that the Taliban and other militants pose from within. What would happen if the government fell, and Islamic militants seized Pakistan’s 100-plus nukes? Meanwhile, the Afghan war continues, to deprive al-Qaeda of a home there once again. But if the U.S. pulled out and al-Qaeda returned, they’d be doing the U.S. military a great favor. We’ve been trying to get at them in North Waziristan for a decade now with limited success at best. Move back to Afghanistan and they would be easy targets. What could Karzai do about it? 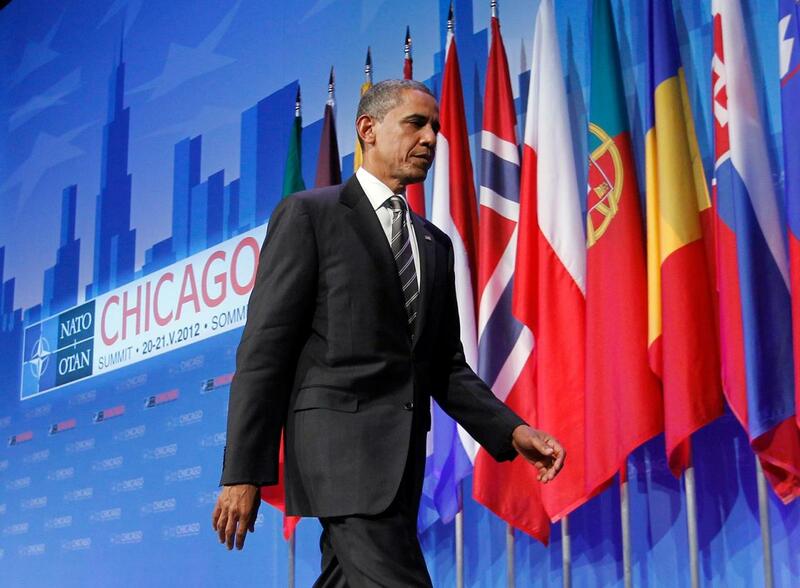 This summer, President Obama is going to announce the first troop withdrawals from Afghanistan. The number being bandied about now is roughly 5,000 troops. He should ramp it up, withdraw faster. After all, now we are caught in the middle of a civil war between the previous and the present governments.